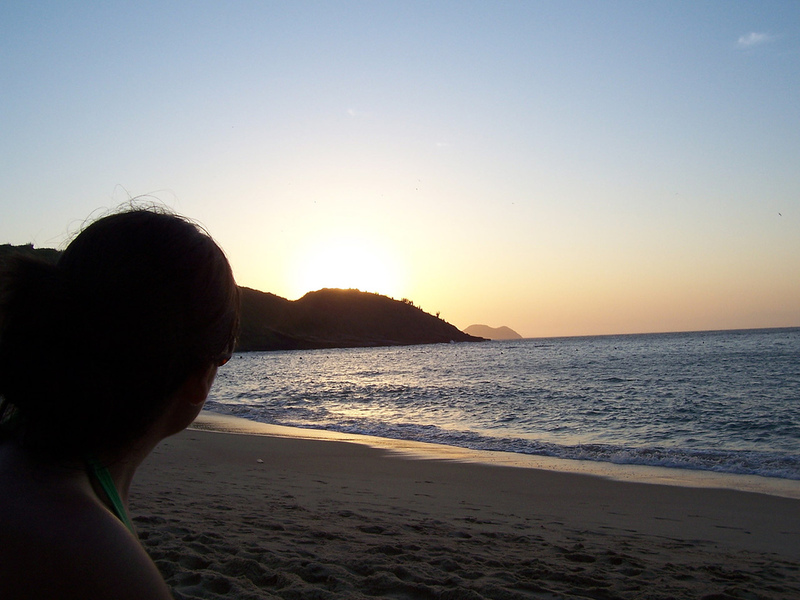 Me and the sun setting over a beach in Buzios, Brazil. One of my favorite podcasts is NPR’s AltLatino. The rural mid-atlantic is not exactly a haven for Latin music, so when I need my fix (as I often do), I turn to this show and the amazingly talented Spanish and Portuguese language music curators behind it, Jasmine and Felix. Earlier this summer AltLatino ran a show devoted to killer Brazilian musicians performing at New York’s Brasil Summerfest. Jasmine and Felix were lucky enough to be joined by Brazilian super-producer Beco Dranoff, who, in addition to making all listeners 35% cooler just by listening to the sound of his amazing voice, also managed to give a brief lesson on Portuguese language and culture. His focus? The word Saldage. Before I continue I must apologize for what may or may not be an egregious spelling error. I used all of my librarian skills to track down a proper spelling of this word and came up short. Spelling errors aside, saldage is what I feel at the moment. According to Mr. Dranoff there is no perfect English translation, but it is essentially, an expression of deep longing. For me, summer is over, the semester has begun, and although I am excited about a new school year, I’m also left with a longing for the promise of a new semester. Twisted, huh? There’s just something really wonderful to me about the planning and preparation that takes place during the summer and the feeling of anticipating what a new semester will bring. Now that I’m in it, I feel like I don’t quite have the time to really appreciate everything taking place, and I don’t think I really will until things settle down a bit mid-semester. I’m going to try to write a bit more this fall, in part to get myself back into the habit of writing, but really I’m trying to force myself to slow down and appreciate the small victories, accomplishments and teachable moments that accompany the day-to-day work in a small college library. It’s so easy to get caught up in the moment when you’re implementing new services, troubleshooting a new website, and planning for more classes than you’ve seen in a year. I need to take a step back and remind myself that all summer long I was excited about what the fall semester would bring. Now I need to enjoy it.